Picture your evening: Grandma comes over to babysit, and as you head out the door, your normally even-tempered baby starts crying inconsolably, even though Grandma stops by a few times each week. The same thing starts to happen at daycare drop-off or maybe any time you leave the room. 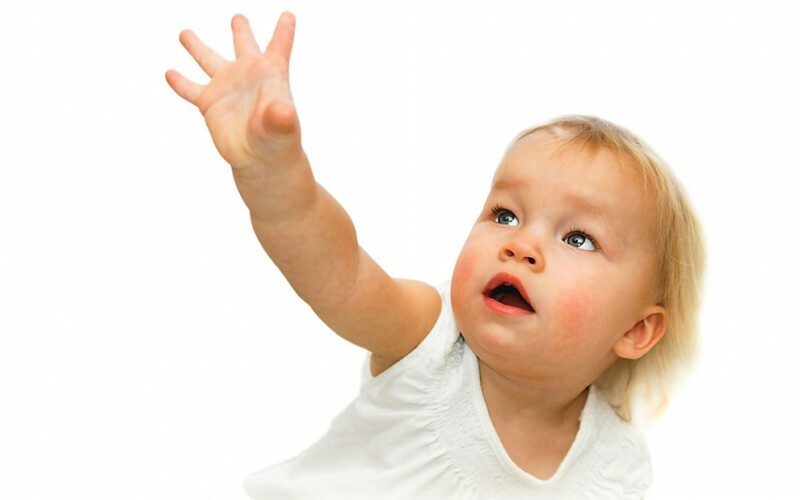 Separation anxiety is a normal developmental stage that often occurs when a baby is between 10-18 months old, with varying degrees of severity in different children. Some children seem barely affected by separation anxiety, while others throw full tantrums at every parting. Separation anxiety is also likely to flare up at times of stress, such as moving, expanding your family with a new sibling, or changing childcare routine. Most babies outgrow separation anxiety by the time they’re 2 years old because they realize that Mommy and Daddy do come back. Although many babies seem inconsolable during the actual separation, they are likely to calm down quickly once you’ve left the scene by playing with toys and the babysitter. • Mini-separations are helpful. During a mini-separation, tell your baby you’re leaving the room and you’ll be right back. If you hear crying from the next room, instead of rushing back to provide comfort, call out and reassure your child that you’re nearby and there’s nothing to be afraid of. If your baby crawls into another room, don’t rush to follow. Instead, allow time for independent exploration, which will help ease baby’s anxiety about being separated from you. • Time your good-byes. Since babies are more likely to get upset if you leave when they’re sleepy, hungry, or not feeling well, do your best to head out the door after your baby has napped or eaten. • Try giving your baby a favorite toy or blanket that will alleviate anxiety while you’re gone. Tell your child about something fun you’ll do together when you return. Separation anxiety generally occurs when a child is 10-18 months old. Babies usually outgrow separation anxiety by their second birthday. The problem may get worse if your child is going through a major change, such as welcoming a new sibling, moving, or dealing with a childcare change. Your baby will likely calm down and forget about distress soon after you leave by playing with toys and the babysitter. Here’s how you can help your child overcome his fears and worries. I never thought about that timing of when I left my little boy. This will be helpful when my son stays with his Nana and Pop all day and overnight… without his momma.